It’s official now. The new green jerseys are here and I would expect them to be seen at the team’s fanfest this weekend. This matches exactly what I predicted last month. I am OK with this. It’s not great and it’s not bad. It’s basically a green version of their gold jerseys. I actually don’t mind it really, but I hope they don’t wear it all the time. It’s just a good marketing, merchandising opportunity. My biggest concern is actually the inclusion of this new cap. 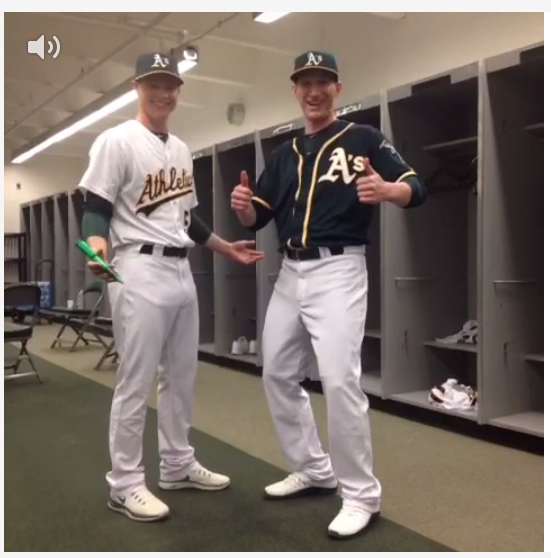 This entry was posted in MLB, New Sets, Oakland Athletics, Uniforms & Design and tagged Alternates, Money Grab. Bookmark the permalink.